The report evaluates the Dental Implants and Prosthetics Market share held by the key manufacturers of the industry and offers a full assessment of the competitive landscape. This market is bifurcated into different segments with the profound analysis of each segment with respect to the geography for the study period. Based on the historical data, the report estimates future prospects and provides the market trends, size, growth, and estimation for the period 2018-2025. The global dental implants and prosthetics market research report provides detailed information about the industry based on the volume (Million Unit) and revenue (USD MN) for the forecast period. The research study is a descriptive analysis of this market emphasizing the market drivers and restraints that govern the overall market growth. The trends and future prospects for the market are also included in the report which gives an intellectual understanding of the dental implants and prosthetics industry. The major market drivers are growing geriatric population, rising incidences of dental problem and increasing disposable incomes. The market growth might be restricted due to dental implant cost is high and difficulty in maintaining oral cleanliness under the study period. The report offers a value chain analysis that gives a comprehensive outlook of the dental implants and prosthetics market. The attractiveness analysis of this market has also been included to evaluate the segments that are anticipated to be profitable during the forecast period. The dental implants and prosthetics market has been segmented based on types such as titanium dental implants, zirconium dental implant, and dental prosthetics. 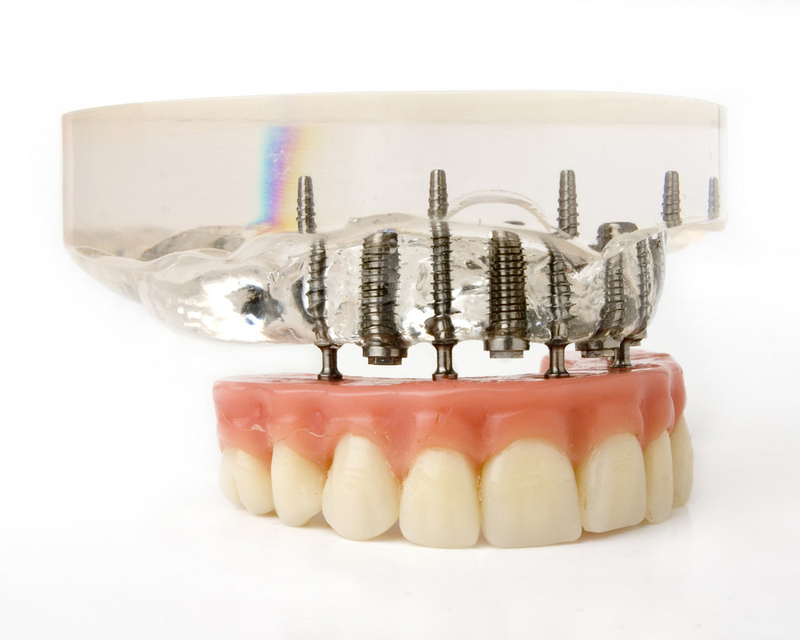 Titanium dental implants market is further bifurcated as procedure stage (single stage and two stage), and connector type (external hexagonal, internal hexagonal and internal octagonal); and dental prosthetics market (crowns and bridges, porcelain fused to metal crowns and bridges, all ceramics crowns and bridges, metallic crowns and bridges, dentures and abutments). The study incorporates periodic market estimates and forecasts. Each type has been analyzed based on the market size at regional and country levels. The report also studies the competitive landscape of the global market with company profiles of players such as Institut Straumann AG, Danaher Corporation, Biomet, Inc., Zimmer Holdings Inc., Dentsply International, Inc., 3M Company, Avinent Implant System, Camlog Biotechnologies AG, Osstem Implant Co., Ltd. and Biohorizons, Inc. Geographically, the dental implants and prosthetics market has been segmented into regions such as North America, Europe, Asia Pacific and Rest of the World. The study details country-level aspects based on each segment and gives estimates in terms of market size.